It’s been nearly nine months since the word “Zika” flashed like a lightning bolt in the headlines of mainstream news. Before January 1, 2016, Zika was just one of many viruses that public health officials monitored. But suddenly in January of this year everything changed, as a nearly harmless virus was transformed into a worldwide threat. As we will see, the Zika propaganda machine was turned on in October of 2015 and it has been running wild ever since. This is a classic example of a mind control program, a public brainwashing project, or a high powered marketing campaign. Regardless of what you call it, it is clear that the mainstream news media, the World Health Organization (WHO), the Pan American Health Organization (PAHO), the US Centers for Disease Control and Prevention (CDC), Big Pharma, Big Chem, and both Republicans and Democrats have joined forces to sell a Zika eradication program to the people of the United States and to the rest of the world. There is just one problem: Zika is NOT a threat to the babies of the world. This has been and continues to be one of the best orchestrated programs of propaganda in recent history. This article will discuss how the program started, how it has been developed, and where it is going. ....coincidentally in nov 2015 Randall Kirk (intrexon) buys oxitec the leading company that genetically modifies mosquitoes and wins the FDA approval after only a couple of months of media campaign, to release genetically modified mosquitoes starting in Florida. What an incredible coincidence!!!! somehow....the scam became noticeable quickly and especially when the giagantic Bugs =Mosquitos pricking skin were everywhere presented & exaggerated, as in horror movies, "The Fly" being just 1... and that Frame Image is scary to all. Yet these monsters are seen on every screen and media possible. Daily. Notice that Brazil suddenly started Searching & collecting Zika cases only in 2014 - to then be identified.. Why was this device to make data not stated ? Nor was it stated Who decided to then focus on quickly getting more data and advertise it = nor How - was a careful protocol followed or were doctors in Brazil's NE region ordered to locate Zika, and paid for it too? . So that info, apparently, was suddenly required [ by govt doctors?] to be reported on Zika in late 2014 ...and notice, it was only in some ltd regions of Brazil -- not everywhere else. Meanwhile: Brazil doesnt acknowledge it is also known to have poor sanitation and less health care than others, and what poverty or less govt services or medical assistance has to do with any diseases spread or any outbreak that does occur. Notice the continual words used: "epidemic" to cause panic. Nor is it mentioned that they also in just recent years have been spraying pesticides in those very same regions - tho those chemicals are claimed as being "safe" = but who is to know...for whom or how long? So these newly acquired numbers were now available for the huge USA Propaganda machine, that noticeably uses the Int'l news platforn now -- but without clarifying how validatable or reliable are the data - how exact are definitions of these diagnoses made ? Or are #s being quickly and widely collected and incorrectly compared ? Of course, It is the Big names that are claiming to verify what is claimed, i.e. WHO, CDC, and those who want USA funding for Zika vaccines diverted from other diseases that are much more virulent. Who dares deny those big agencies their honest care and humane concern ? hmmm . Gotta believe them or the whole house of cards falls and is distrusted too ? It becomes suspicious when there are continuous blaring & repetitive sales advertisements --about bugs and babies --and notice that the same baby is displayed with a head deformity [ see same pictures repeated everywhere]. So the data now "found" can Not be honestly compared to whatever earlier numbers of women who had Zika or abnormal babies that were available - about how many women -pregnant or not - even have had Zika And Any Other other common diseases either. Look for something specific only and that is what "appears" both in data and then confirmed thru media news repeats. Notice how much time and dedication to elicitng mass media repetition has been done by some big head-of-agency names [same ones too] that did not dare say "Cause" and still mostly use "linked to"- though "linked"is difficult to find a medical or legal definition compared to "cause" or "correlate" or other more common words used that we can understand. Excellent article about elite propaganda and our hysteria driven world. The hysteria from WHO, carefully synchronized with the hype in the news media, and immediate and aggressive responses from government leaders/health secretaries, seems very suspicious. 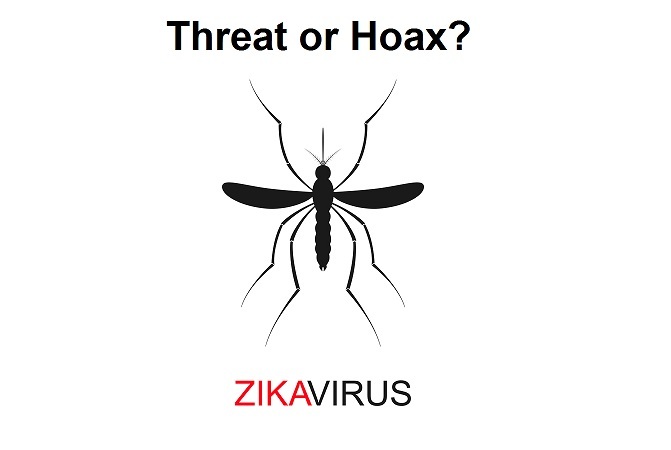 We have a fairy-tale certainty between mosquitoes, zika virus and microcephaly. Two weeks after the zika virus news came here in India, we had a company that was close to developing a vaccine for it. Fairy-tale resolution to a fairy-tale problem. If vaccine doesn't work, or may be just in case, local health authorities would go door-to-door, get people and dip them in vats of pesticide, or soak the locality with pesticide. Any one who protests, will be charged with preventing a public servant from discharging his "duties". I can't believe how they're pushing this joke! the florida governors wife has bought into mosquito spraying company,..
Gosh trying to work out your software! Finally you dumped Discus I can speak now! DTap vaccines brought in from babies born 1996. By 2011 vaccination rate now 98.5% in all kids who can be vaccinated. 40,000 cases of whooping cough. All aged 6-12 all the ones Dtap vaccinated. NO whooping cough in anyone else. I tested kids in 2010, Albany Western Australia, 45,000 people, all coughed over for 8 months, the ONLY ones with whooping cough were born after 1996. Look at the whooping cough chart for Australia. Australian Health tested the other kids, the vaccinated younger ones, no symptoms, OH they still had whooping cough, just no symptoms. The bacteria had still colonised their throats, they were still spreading it. SUMMARY, 5 jabs in 5 years, add 3 years, ie around age 6-12 those kids have spent 6-12 years silently spreading whooping cough. They don't just catch and spread it once, they do it continuously. The vaccine protects them from symptoms. Then the vaccine fails, and they get whooping cough anyway. The whole herd in Australia, is now so infected with ""silent"" whooping cough, it just goes, round and round, and newborns? Infected by vaccinated, symptomless sibling. Or a close family child. I got the raw data for number of whooping cough people in UK, the chart is identical, but all 8 years later, they got Dtap in 2004. They are presently at what I call ""liftoff"
The stats I could find from USA (CDC seems really secretive with stats?) was that USA switched TOTALLY to Dtap in 2008. So USA is presently only at the second bump, in another 4 years, after liftoff, UNLESS USA bans this vaccine, you will have over 1 million cases of whooping cough a year. At that stage USA will also have another 3 million or more a year, Dtap vaccinated, spreading it each year, with absolutely no symptoms. Anyone having a newborn baby now? keep baby isolated for 8 weeks, or if you have other kids, get a whooping cough test, to clear them of being a carrier, just before they see the baby. The rate of whooping cough hasn't fallen in Australia, just people don't bother to test their kids for it anymore. Went through 2 classes of fully vaccinated kids in Bunbury, grandkids. 60 had it, only four bothered to get tested. Why bother testing? All the siblings of those kids, without symptoms, still spreading whooping cough, because of their vaccine, merely stopping symptoms, not transmission. Just google FDA whooping cough. Top pick last paragraph. Australia knew this in 2010, FDA waited three years, bought some baboons, and created a press release (that they forgot to release). Using the same criteria, vaccine causes autism, seizures, paralysis, auto-immune disorders and other life-long complications. But for some reason vaccine studies have a very different outcome regarless of the proof. I seem to be blocked from posting, just wrote a whole heap, all gone? time lag I hope. Microcephaly USA in 2004 = 400 Microcephaly USA, after Tdap iin pregnancy pushed? 25,000 a year. EXCELLENT article. Thank you. Yes, they are creating a self fulfilling crisis with first crying wolf (Zika=microcephaly) and then making microcephaly and other birth defects happen by spraying our neighborhoods with toxic poisons to kill the mosquitoes they say cause Zika. The same they tried to do with Ebola. This time though, they figured out that in order to make these fabricated crisis take hold is to scare the hell out of everyone by saying our children will be greatly deformed and suffer. Hence, Zika. I am guessing it will be the majority of citizens who will decide that "it is not worth taking the chance" even when solid evidence and most credible doctors and researchers give the true facts dispelling such a claim - and will absolutely demand our government "do something", which will be mandatory vaccine programs. And that will turn into mandatory vaccines for all - from cradle to grave. Mind control is easy when the citizens refuse to use their own thinking processes and all the easily accessible info at their fingertips to do their own research on a subject as this, and become sheeple instead. Another thing about the massive funding called for is the amount of money still sitting there that they received for the supposed Ebola crisis and never used. The only saving grace on this is that a huge number of people now read newsletters like this one and are 'on to' the whole scam - that's why they are not having quite the success they hoped - we all watched the Ebola thing fizzle out and realized why that Ebola nurse from Maine was so dismissive of their panicky treatment of her - she obviously knew what the truth was but was keeping quiet for her own safety - I was VERY suspicious then of what was really going on - trouble with this Capitalist structure we live under is that GREED becomes the number 1 priority that drives everything, and there is SO MUCH money to be made, particularly in the US that they simply cannot resist it. What can we make money from next ? seems to be the prime question - and THAT is regarded as the main reason to be alive - can I be a multi$-billionaire above that other guy ! Something grossly wrong with those priorities but that is driving everything ! This is not a product of true "Capitalism." The U.S. is NOT a Capitalist system at all. It is corporate cronyism, where the government decides which businesses are going to succeed and protects them. Such is the case with modern medicine, and particularly vaccines. Without the National Vaccine Compensation Program that Congress enacted and President Reagan signed into law, and which was subsequently upheld by the U.S. Supreme court, there would be NO market for vaccines. This law protects pharmaceutical companies from being sued by the public when their products kill and maim them. That is what was happening prior to 1986, when the pharmaceutical companies went to Congress and said "protect us" from these lawsuits, or we will stop making vaccines. No, that is NOT Capitalism. A truly free market would have abolished vaccines years ago, as the public was suing the drug companies and demanding safer vaccines. Now, they can do whatever they want with the protection of the government.